On April 1st 1997 my husband responded to a shots fired, officer down call over his radio. Moments later he arrived on scene to find a deputy he had just talked to less than an hour before, had been fatally wounded missing his Kevlar vest by inches. Like soldiers serving over-seas the men and women of Law Enforcement put themselves in harms way protecting our own war here at home. At any moment the people we love could be gone forever. I find it very fitting and a coincidence that on April 1st Pink by Design will be releasing many stamp sets, this being a sneak peak of my favorite. I want to thank all men and women,past and present, who serve to protect our country, my family and the people I love!! My daughter Lily is 5 and loves to "scrapbook" with mom. I recently bought some Greeting Farm stamps and she's been asking to use them. 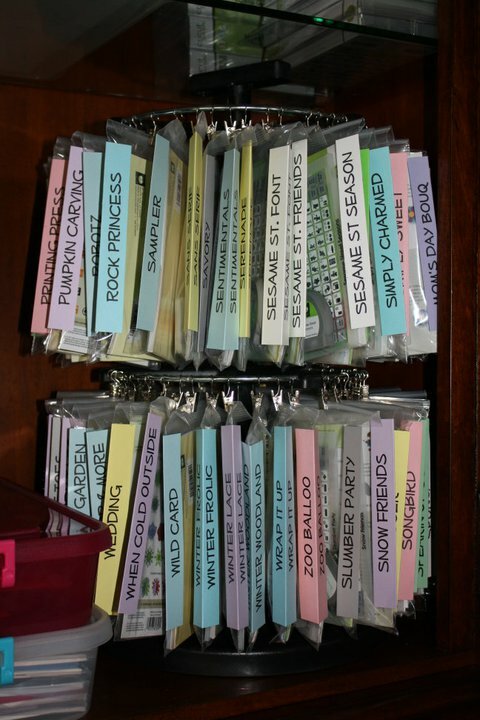 Thought I would show you how I store my Cricut cartridges. One picture is the first half of the alphabet and the second picture is the last half of the alphabet. Currently I have approx 200+ on both of these units. 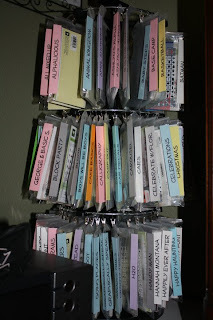 I have them all alphabetized and color coded for the type of cartridge they are. For example fonts=pink, shapes=blue, lites=gray, cake=orange, solutions=yellow, limited edition=purple, licensed=white, school=green...etc. I have also included a video I made awhile back if you would like more info on the bags, clip it up and more. 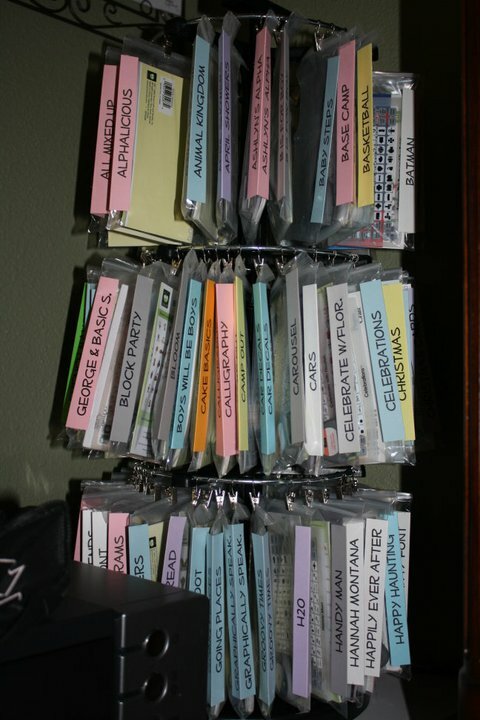 Happy Organizing !!! My new Greeting Farm stamps !!! I received my Greeting Farm stamps yesturday and had to try them out ! Ive never ordered from them before, and Im just learning how to use Copics too so I thought I would give it a shot! I also used a pink by design sentiment stamp from the Shopoholic set. It's that time again my Pink by Design Design team day ! We were asked to make anything other than a card. 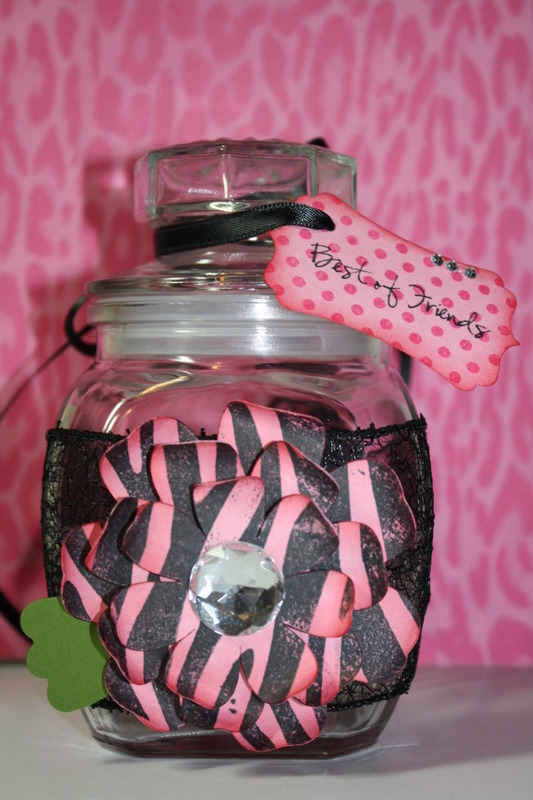 So since I love home decor projects I came up with something that would be cute to give as a gift. 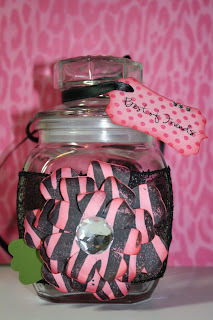 I decorated a glass container and added a few decorative touches! The main flower I used Cricut cart Mothers Day Bouquet and the PBD background stamp Zebra. Then for the tag I used a PBD background stamp tiny dots and the sentiment stamp from Animated Greetings! I wanted to show you some cuts I made for my local post office glass case display. They wanted to showcase the difference in the regular stamps and the forever stamps and had a small glass wall case to put them in. I used Storybook and the big 12x24 DCWV black glitter paper to create the banner title. Then I used Simply Charmed and my Peachy Keen Happy New year stamps for the Leprechaun and pot of gold. Also Designers Calendar was used for the shamrocks. The "Forever Stamps" banner was created in neutral colors so it could stay up year round and just change the holiday or theme cut pieces. First Happy Birthday to Jennifer !!! If you came from Lucy's blog then you are in the right place !! If not you can start HERE. We were suppose to make birthday cards and I really wanted to break out the Best of Pixar cartridge, so I made one with one of my favorite characters from Finding Nemo. Of course this "dude" wobbles !!! I also used glossy accents on his shell and eyes, fruit punch stickles and a Pink by Design sentiment stamp from the "just 4 men" set. On the inside it says "Have a totally awesome Birthday"
Thanks so much for stopping by ! Your next stop on the hop is Monica's cute blog !!! How to make a Spinner Card ! So I have had a few requests on how to create a spinner card. 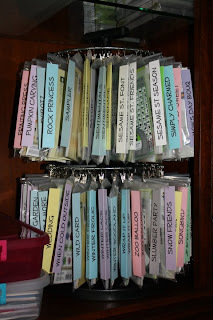 Most of the ones you see, they use a Stampin Up punch...well what about the rest of us who dont own one? Here's a video with easy instructions on how! Kates ABC's in the house !!!! This is just a quick video on a card and the supplies used...of course I had to video tape it because it wobbles !!! Today's the day new stamps will be released at Pink by Design !! whoo hoo !!! Today is also the day I get to design for her soooo.... 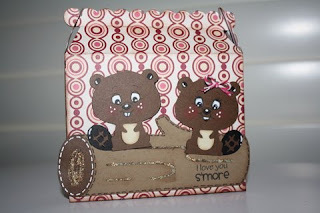 I created a cute little treat box from Spring Holiday Cards cartridge and Create a Critter. I also used Pink by Design "Woodland Critters" stamp set, Peachy Keen Bright eyed and Bushy tailed face stamps, and some hot pink twine !!! Winner of Spring Fever blog hop !!! Remember tomorrow is Pink Cricut day, I have a cute project to share and she will be releasing a bunch of new stamps !!! Let me say you will LOVE them !!! !